Amid controversy about the shortened lifespan of its captive orcas whales, a 38-year-old female beluga whale died at Sea World San Diego, according to park officials. The whale, named Ruby, had been at the park for 17 years, and gave birth to a female calf in 2010. Park officials didn't say the cause of death, noting that the results of a necropsy would be available in a few weeks. There are many different studies that estimate beluga lifespan in the wild. 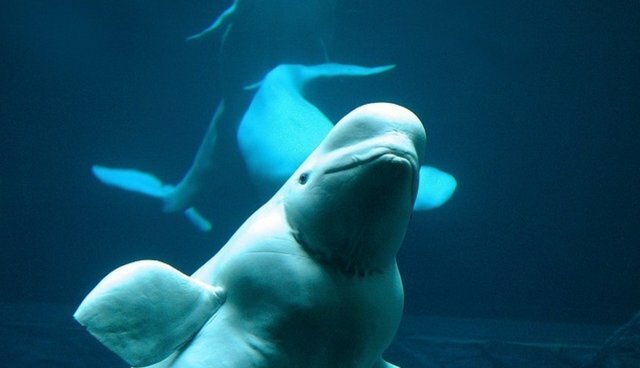 According to SeaWorld's clock, the average lifespan for a beluga whale -- wild or captive -- is 25 to 30 years. But other studies give drastically different estimates -- one paper that used radiocarbon dating of the dentine layers on the animals' teeth showed that belugas can live for a whopping 70 or 80 years. The park now has five beluga whales left on exhibit.